The Dueling Pianos concept can be summed up in a single word: FUN. Combine two sharp-witted, incredibly talented musicians with two grand pianos on a stage, and add in a roomful of people: The result is an evening of fast, funny, unforgettable entertainment. The musical repertoire ranges from classic rock to country, hard rock to R&B, and show tunes to Top 40. Best of all, the audience is the star of the show—shouting out requests, singing along to favorites, bantering with performers, and having the time of their lives. "The dueling pianos were an absolute hit and the group loved them! Thank you to you and your team for putting on such a great show!" Just wanted to let you know that our Holiday Party entertainment was a HIT!!! Stefan is absolutely a wonderful performer – so talented. He was just perfect for our event! And EVERYONE totally enjoyed having their photo taken in the photo booth. Please let me know if we owe you any additional fees for the photo booth. It was wonderful. Have a wonderful Christmas and New Year! Our staff had a great time on Friday night!! Tim and Stephan were tremendous and our staff were energized by their performance. They were able to keep everyone participating throughout the night. They allowed our CEO to play as well and encouraged him to play a few songs. He was grateful to have the chance to play for the group. Thanks again for helping make our holiday party a success! Looking forward to working with you and your staff in the future. We are still humming along with Mike and Tim from the other night. They were awesome!! They asked me to let you know they raised $1,700 in the tip jar for our cause. I'm thinking you may get at least two more bookings from this event. Guests who have been at dueling pianos events before were so impressed with the consummate professionals and their great energy. I went out on a limb telling my fellow members that dueling pianos would be the best entertainment for our tenth anniversary - guess what - all agreed and are raving about it. You made me look good. Thanks again for helping our tenth anniversary party be so successful and memorable. Noel and Dan were TERRIFIC!! Hands down best dueling pianists I've ever seen! Super entertaining and talented - and great at getting that corporate lunchtime crowd going. Great job and thanks! "We would love to let you guys know just how AMAZING the guys were. Seriously, they were amazing. So kind, so hilarious, so talented! They were pure entertainment for us, as well as our whole list of guests! Everyone kept talking about how cool the pianos were and how they were worth every dime! So, Thank you from the bottom of our hearts for the truly best experience we could have hoped for. You will be recommended to everyone who asks about Dueling Pianos (and people who don't!) from here on out. Thank you, Thank you again!" "The guys were great and everything went awesomely! I will be having them back again next year!" "Everything went great! I could not have asked for a better Duo!" "Bill was awesome, the dance floor at my Wedding was packed all night! We had planned to do Karaoke after Bill's performance, but we loved it so much, we asked Bill to keep going for the rest of the night instead!" "We had a very successful evening and raised more money than ever before at our fundraiser! It was GREAT entertainment! One of our guests even asked us for your contact information so they can have Dueling Pianos at their event as well, they loved the performance so much!" "Everything went so perfect, I'm planning to have you come back this fall!" "I saw Marshall and Dan perform at Weber State in Utah on April 23rd - WOW - Great job! I just loved it! It was so fun and funny - I just love Billy Joel and it really made a night of lots of talking music! Thank you for using your talent for good!!!" "We had a wonderful event and a very successful one! The performers were fabulous and the audience loved them! I would like to book for next year if possible. Looking forward to hearing back and thank you again!" "First of all, I just really want to say THANK YOU. We had such an amazing time, Marshall was great! We are looking forward to having another event in 2017 with you, so we will be in touch!" "On behalf of the Leadership Team at Rand Logistics, Inc.I would like to sincerely thank you and your team for your efforts with providing entertainment for out 2016 Winter Meeting! The Dueling Pianos Show with Noel Leaman and Dan Louisell was a big hit with our employees. You know what they say, "A picture states 1000 words," and some of the photos we have from the evening say much more than that and are truly priceless. Noel and Dan were able to engage our employees for the duration of the show, while making some unique memories for our team. We were truly wowed by their talent. Again, thank you all for helping make our Rand Logistics Winter Meeting the best one yet with the Dueling Pianos Show!" E. Levy - Chief Executive Office Rand Logistics, Inc.
"Our event was PERFECT. Everyone had a great time. We exceeded our Fundraising goals, largely because of Dueling Pianos International. We will be meeting in three weeks or so to determine a date for next year's event. I will call you so we can rebook. "They were wonderful, wonderful, wonderful. We have a date in the works right now for the fall. We want to rebook them even before they leave!" "We had about 250 people-- a great crowd! Noel made sure everyone had a great time, we really appreciate it!" "It was wonderful, and I've had several people ask me for more information about your services! The audience LOVED every minute of it, thank you!" "The guys were great! Everyone had a good time. We are hoping to have you back in the Fall." "The guys were a hit once again! They did a great job with our special dedication as well"
"We had a really great time and are looking forward to having you back in June. We are thinking about scheduling another event as well. They played through the evening." "We raised over $20,000.00 between our two Fundraising events!" "Always a good time with you guys. We look forward to this event even as often as it comes around." "Thank you so much for coming back to Waukegan! I just got a pre-sale notice from the Theater about October's show. I haven't been entertained like that at a concert in years. I even wrote to the Theater to get you guys back. We are bringing a couple more people this time. Is it October yet?" "The evening went great, the crowd loved them!" "It was the best entertainment decision we could have made! Even the shy people were up dancing with Miracas. We could not have asked for better entertainers than Michael and Tim. You will be hearing from us again." "We had an incredible time last night with Dueling Pianos International. Everyone thoroughly enjoyed the show. Today, my voice is hoarse from singing and my stomach is soar from laughing so hard last night. We really hope to have you back again next year." "WOW! What a performance from Noel and Dan. They were amazing! I can't tell you how many wonderful and positive comments I received from our guests. They were the hit of the night!" "It was absolutely fabulous! We had a great turnout, and everyone left happy!" " Just wanted to send a note to say how enjoyable last night's show at Aberdeen Proving Ground was! I knew it would be a great time, but had no idea to what extent! We all could not stop laughing, and did only long enough to sing along to about 98% of the songs that were played. Guess you never know WHAT to expect at your shows." " I just wanted to let you know that Noel and Mike did an AWESOME job at our wedding reception! They made the celebration wonderful and we had no complaints. In fact, so many people have told us it was the best reception they have ever been too! We started wondering if they were just trying to make us feel good, but I truly believe these guys are our HEROS!!! Please let me know Noel and/ or Mike's schedules or how I can find out where they play in public so we can continue to enjoy their entertainment." " I just wanted to let you know how much we loved Tim and Stefan on Saturday night. Their talent aside, they walked the line, read the room, and we could not be happier. Our moms loved it, our friends loved it-- they nailed it! They also kept the ceremony on track with all of their equipment running as expected. We have been fielding compliments all weekend since, and could not be happier with the performance." " Dueling Piano's played for our wedding and it was by far the BEST choice we could have made for our entertainment. Michael did a PHENOMENAL job. Guests were up and dancing all night, and he did a great job as the MC. Leading up to the wedding the company did a great job about keeping in touch and making sure we were all on the same page and had the plan sorted out. Michael called me a few days in advance and walked me through the plan to make sure he knew what we wanted and knew how to pronounce everyone's names. He clearly knew exactly what he was doing, so I knew I was in good hands. This was not your standard show like at a bar. The day of, everything went off without a hitch! After the wedding many of our guests contacted us to say how much they loved the pianos-- it seemed like the music was by far everyone's favorite part about our reception!" "I just wanted to say how pleased I am with your company and staff members. Noel and Michael did a fabulous job at our Wine Taste on Friday night and I couldn’t be more pleased. Everyone was so excited to have the piano show and they really brought the house down! Thank you so much for all of your help throughout this process. I truly appreciate all of your help and again, the performance was incredible. I look forward to doing business with you in the future." "The Dueling Pianos performance at Legends of Notre Dame Nightclub on April 17th was great! The performers were enthusiastic and entertaining from start to finish. We are looking forward to having you guys back in the Fall." "It was one of the coolest things I’ve ever seen. The guys just made the reception. Friends and family are still calling me and telling me what a great time they had. I was really impressed cause I really didn’t know how cool is was going to be at a wedding reception." "It went great! Had a great time and the guys were really great. They raised a lot of money for us and we really appreciate them giving it all to charity. We will definitely be using you guys again." "I just wanted to tell you that we all had a FANTASTIC time! Noel and Mike were absolutely the best! People cannot wait to have them back again. Thank you for everything!" "The guys were great! Everyone had a really fun time. They were HILARIOUS!" "They were great! But they are great every year!" "Definitely the best event of the year. We can’t wait to see you again in June!" "I wanted to take a minute to tell you how absolutely amazing Mike and Tim were for our wedding reception Saturday night!!! We could not have been happier with the event. Not only did our guests have a blast, I think the two of them may have had some fun as well. They kept people out on the dance floor until they finally shoved us out the door at 2 a.m. -- and from what we've heard, that can be a difficult thing to do at a wedding reception. We had guests tell us they had been to receptions with dueling pianos before and were apprehensive about ours, but were so very pleasantly surprised at how much fun it was. THANK YOU for running such a great business and offering wonderful entertainers!" "The Greater Ogdensburg Chamber of Commerce would like to thank you for sending us Frank and George. They are wonderful and very talented entertainers. They engaged the audience immediately and kept them engaged for the entire show. I heard many, many comments the following day at another event we were sponsoring, how much fun everyone had. We would very much like to bring Frank and George back next year. Thank you again for your commitment to our event." "It was a pleasure working with you on the Romohr - Bachman wedding reception. You guys are great and guests were talking about how much fun the reception was for days. Kate and Tyler mentioned that the dance floor was full all night, which in their opinion means the wedding reception was a huge success! Please give our regards to Jason Scarcelli -- he was awesome at setting up everything for us. Thanks for evening you did to make the reception go so smoothly. We appreciate your flexibility during the evening! We look forward to working with you again in the future! Thanks so much!" "All I can say is WOW ...the dueling pianos were a HUGE hit!!!! Thank you so much for making our wedding reception one every guest will remember! Everything went so smooth and the two players were amazing and extremely entertaining. We did the dueling pianos for most of the night as the dance floor was consistently packed with people dancing. People commented that they feel sorry for the next person in the family who has a wedding, because it will be tough to beat the dueling pianos!!!" "Once again a stellar performance! We can't say enough about the guys that came to our hotel! Awesome interaction and so much fun. We packed the place and no one wanted them to stop! Can't wait to have them back again. Truly, truly great talent!" "I wanted to send a quick follow up regarding our wedding reception. Mike McCaslin and Julian Lambert performed their dueling pianos show and then Mike transitioned into DJ mode. As you may remember, I was hesitant to book dueling pianos out of fear of the unknown. I had never been to a wedding reception that had anything like that, which is a big reason why I wanted it for mine -- different, fun, and entertaining. For the same reason I wanted the dueling pianos is also why I was afraid. Would it be too different, not as much fun as I'd hoped, and not as entertaining?!?! Despite my reservations, you convinced me that Michael was THE BEST and would not disappoint. I am happy to report that you were totally right and they both were AWESOME!!!!!!! We had an amazing time and so did everyone else. So many people commented on the show and said it was the best reception they had been to. I attribute a bulk of that to Mike and Julian. My cheeks were on fire from laughing so much, especially during YMCA with my husband, his best man, his brother, and the man that married us! My only regret is that the banquet hall made us stop the party at 11 p.m., with a still-packed dance floor! So, a huge thanks to you for 'selling' Mike and his skills. A million thanks to Mike and Julian -- you guys were instrumental in making our wedding reception such a memorable event. Ted and I will be attending a wedding tomorrow and I'm crossing my fingers by chance I may see them again!!!!" "They were GREAT! We really enjoyed the show. The President's Executive Assistant even commented that they were great!! They played until the very last minute even though many students had to leave to get to class -- they didn't care -- they still performed their hearts out! We had a really good time with them! Thanks for being so easy to work with!!" "I just wanted to let you know that Marshall and Dan were amazing. We had so much fun and our (wedding) guests loved it. Thank you so much for everything." "I just wanted to let you know that our event with Dueling Pianos International went wonderfully. The students loved it and the guys were so great to work with. They were funny and the music was awesome!" "I just wanted to let you know that Dueling Pianos International did an awesome job at our Christmas party. Everyone said that it was the best party that we have had. They are very talented and funny. Please let them know that we all loved them!" "The night was fantastic. The dueling piano guys were awesome! Everyone had a blast and I think they did too. Exceeded all expectations. We'll work together again. Thanks for your help and accommodation." "The Friday night show was AWESOME!! The guys did great and everyone had a great time!! Thank you again for your assistance in getting everything set up and we hope to work with you again in the future. I have had numerous comments this morning this was one of our best company outings. THANK YOU!! And, PLEASE, pass along my appreciation to the entertainers, also!" "Thanks so much for working with Drake University's Student Advisory Board to bring dueling pianos to campus. They were great to work with and I know our audience enjoyed them a lot. I hope we can bring the guys back to campus again!" "It was a first-class event and well done. We have received nothing but positive feedback from our guests in attendance. Thank you for taking the time to understand the magnitude of this event from our perspective. We enjoyed working with you and your team. Neil and George were awesome!" "Always a pleasure to have Dueling Pianos International"
"Dueling Pianos International has a variety of sing-along piano entertainers that make each semester's show fun and unique"
"An event our students look forward to each semester." "Your guys were WONDERFUL! They really knew how to play to the crowd, and the crowd responded. I bet they reported that it was a successful event too. Please thank them profusely for their fine performance, and for donating the tip jar. It all helps our boys, and you can be sure we use fund wisely here." "The 'piano guys' were just fantastic! We received so many compliments from our wedding guests – they all loved it. The Entertainers were something to remember – one of the best musical experiences I’ve ever had at a wedding." "I just did the receiving on the event today. It was great! So professional, friendly, and the students truly loved it! Thank you so much again, and we will be getting a hold of you very soon to perform at another event!" "Everyone had a really great time, the feedback from our employees was awesome! We look forward to having you guys again for our next event." "The Dueling Pianos International event was a great asset to our grand opening. They had everyone dancing all night. It made for a fun and entertaining night." "We’ve had them come and perform multiple times and the show is always fun. The crowd really gets into it. They are proving to be the best dueling pianists out there!" "The dueling pianos were the best part of our reception,” said Jenna Smith. “They were wonderful! They were concerned for what we wanted, going above and beyond what we expected. I couldn’t have asked for more!" "Our event was an all ladies event, with the audience ranging from 18 to 80, and they all had a ball! They were clapping, laughing, and singing along the whole show!" "The event was a big hit; everyone had a great time. It really surprised the guests, no one knew what to expect, but they really enjoyed it. We look forward to working with them next year, but this time, doubling the size of the event!" "The show was an overall crowd pleaser! It was a high-energy, fantastic show. 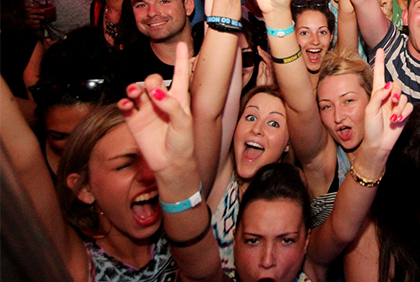 They had the crowd in the palm of their hand from beginning to end!" 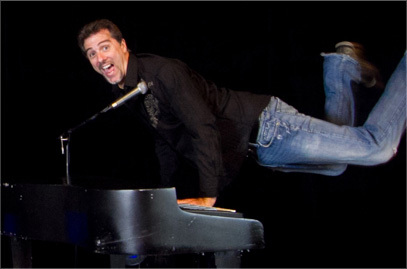 "The dueling pianos entertainers were very energetic and got the crowd going. They kept up the energy till the very end! This was the first time we booked a show Dueling Pianos International and we were very please. We can’t wait to have them again!" "The Funkeys Dueling Pianos has been such a great marketing tool for my bar & restaurant. It’s a fun way to get out with your friends and family and enjoy a different kind of entertainment that you can be involved in and just have a great time with. Something you’re not going to find at any other place down the street. I’ve had the Dueling Pianos 8 times now and the show is never the same twice. It’s always spontaneous and full of laughter and my customers always go home laughing, talking about it for weeks and looking forward to coming back for it again next time. Thank you guys for always putting on a great show and giving your all each and every time. I am ecstatic to have you back again soon!" "You need to know how incredibly terrific your team was at my daughter’s wedding reception on September 22nd at the Fox Theatre in Atlanta, especially Nate Sangsland. They did everything we asked them to do but, more than that, they read the mood of the guests and played them perfectly! Some of the songs and “specials” they chose were so much fun. I can’t express how perfect the entertainment was that evening. The only reason anyone would choose any other entertainment would be because they don’t know about you. I highly recommend your service for the best party ever! Thanks so much." "There are no words. Brandon and Don were amazing. From start to finish, everyone loved them. I nominate myself for President of their fan club. They were beyond a pleasure to work with! Thank you over and over." "The event on Saturday went GREAT, better than great! Our group LOVED George and Dan!! They were a perfect fit and so talented. I have had so many people ask me for their names and the name of your company, how I found you, etc., so don’t be surprised if you get some business as a result! Thank you again for everything and please extend my thanks to George and Dan. They were amazing and I hope to see their act again one day soon!" "We wanted to tell you how awesome the guys, Mike and Dave, were at our wedding here in Columbus. From start to finish, they did an absolutely amazing job. We did not tell anyone what our entertainment was going to be and everyone was amazed that there were companies like yours, then blown away by the performance they put on. I was personally impressed with their attention to detail throughout the dinner and reception and how frequently they checked in with us, laying out the options for where we were in the night. They were very flexible with our situation (dinner was inside and the pianos / reception were outside) and Mike was very attentive and kept in constant constant contact with me. I will recommend you to anyone in the future and thank you again for making our wedding night so incredible." "I just wanted to say thank you again for allowing us to use you guys! The wedding was a success and Frank and his partner knew how to put on an awesome show! They had everyone dancing, requesting songs and just hyping up the crowd! We had about 200 people there and everyone raved about you guys! Everyone loved the Pianos and I just wanted to say thank you again! Briana and I couldn’t have asked for anything better! "Just wanted to say thank you for helping us with a great event Friday night. The guys did a great job, were very patient with us and even played extra songs. Please pass on to the guys for me … I don’t think the crowd wanted them to leave!" "Just wanted to say thank you for all your help preparing for our wedding. The day was perfect and our guests LOVED the dueling pianos. It was a hit; Michael and Tim were amazing. I would recommend you guys to anyone looking for some awesome entertainment! Thanks again." "I wanted to take a minute to tell you how absolutely amazing Mike and Tim were for our wedding reception Saturday night!!! We could not have been happier with the event. Not only did our guests have a blast, I think the two of them may have had some fun as well. They kept people out on the dance floor until they finally shoved us out the door at 2 a.m. — and from what we’ve heard, that can be a difficult thing to do at a wedding reception. We had guests tell us they had been to receptions with dueling pianos before and were apprehensive about ours, but were so very pleasantly surprised at how much fun it was. THANK YOU for running such a great business and offering wonderful entertainers!" "It was a pleasure working with you on the Romohr – Bachman wedding reception. You guys are great and guests were talking about how much fun the reception was for days. Kate and Tyler mentioned that the dance floor was full all night, which in their opinion means the wedding reception was a huge success! Please give our regards to Jason Scarcelli — he was awesome at setting up everything for us. Thanks for evening you did to make the reception go so smoothly. We appreciate your flexibility during the evening! We look forward to working with you again in the future! Thanks so much!" "All I can say is WOW …the dueling pianos were a HUGE hit!!!! Thank you so much for making our wedding reception one every guest will remember! Everything went so smooth and the two players were amazing and extremely entertaining. We did the dueling pianos for most of the night as the dance floor was consistently packed with people dancing. People commented that they feel sorry for the next person in the family who has a wedding, because it will be tough to beat the dueling pianos!!!" "Once again a stellar performance! We can’t say enough about the guys that came to our hotel! Awesome interaction and so much fun. We packed the place and no one wanted them to stop! Can’t wait to have them back again. Truly, truly great talent!" "I wanted to send a quick follow up regarding our wedding reception. Mike McCaslin and Julian Lambert performed their dueling pianos show and then Mike transitioned into DJ mode. As you may remember, I was hesitant to book dueling pianos out of fear of the unknown. I had never been to a wedding reception that had anything like that, which is a big reason why I wanted it for mine — different, fun, and entertaining. For the same reason, I wanted the dueling pianos is also why I was afraid. Would it be too different, not as much fun as I’d hoped, and not as entertaining?!?! Despite my reservations, you convinced me that Michael was THE BEST and would not disappoint. I am happy to report that you were totally right and they both were AWESOME!!!!!!! We had an amazing time and so did everyone else. So many people commented on the show and said it was the best reception they had been to. I attribute a bulk of that to Mike and Julian. My cheeks were on fire from laughing so much, especially during YMCA with my husband, his best man, his brother, and the man that married us! My only regret is that the banquet hall made us stop the party at 11 p.m., with a still-packed dance floor! So, a huge thanks to you for ‘selling’ Mike and his skills. A million thanks to Mike and Julian — you guys were instrumental in making our wedding reception such a memorable event. Ted and I will be attending a wedding tomorrow and I’m crossing my fingers by chance I may see them again!!!!" "They were GREAT! We really enjoyed the show. The President’s Executive Assistant even commented that they were great!! They played until the very last minute even though many students had to leave to get to class — they didn’t care — they still performed their hearts out! We had a really good time with them! Thanks for being so easy to work with!!" "The night was fantastic. The dueling piano guys were awesome! Everyone had a blast and I think they did too. Exceeded all expectations. We’ll work together again. Thanks for your help and accommodation." "Thanks so much for working with Drake University’s Student Advisory Board to bring dueling pianos to campus. They were great to work with and I know our audience enjoyed them a lot. I hope we can bring the guys back to campus again!" "These shows are always a lot of fun!" "You guys rocked! We are getting all kinds of feedback from the reception. Some have even sent us personal notes about how much fun the dueling piano act was. An editor from a local newspaper wrote a great editorial about your performance. Hope you had as much fun as we did!" "The guys were SO much fun, we had a great turn out, and, from the looks of it, I believe everyone had a great time! They did a really nice job again and it was great to have them return! I can say nothing but great things about the guys. Thanks for being so easy to work with and I hope we can find a way to bring them back to Drake again." "Just wanted to thank you for the AWESOME duo you sent me for our show. The players were dynamic together and kept the audience engaged for the entire time. We had people in their 20s to people in their 70s and they were having a blast right up to the end. Don’t have a total count yet but the tip jar on the pianos had $600 in it ALONE! We would love to have that pair come back again. Thanks again for a great experience." "I just wanted to shoot you a quick note to let you know what a FABULOUS job Dan did at our holiday party. I’ve had several people say it was our best party yet! Thank you so much for helping me set this up and for sending such great entertainers!" "This year’s event was an absolute success. Everyone had a great time and really appreciated all of the impromptu comedy and interaction. We can’t wait to have you back next year. We are contemplating having two events, back to back in March 2015." "Dueling Pianos International has a variety of sing-along piano entertainers that make each semester’s show fun and unique. "